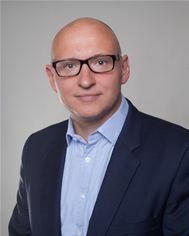 Nigel Rees has been appointed as Joint UK MD of Aareon (www.aareon.co.uk) and 1st Touch (www.1sttouch.com), a role he will share with current Aareon MD Steve Makin. In his new role, Rees will seek to exploit and drive the significant benefits available from the close collaboration between the two Aareon Group companies in the social housing technology marketplace. Rees, who qualified as a Chartered Accountant with KPMG, joins from The Home Office, where for over 18 months as a Director of Finance, supported the digital transformation of the public sector. Prior to this, he worked for over 4 years as MD of Kelvin Connect a mobile and digital transformation solutions innovator with an impressive client list including Surrey Police. Previously, Rees also held a number of senior operational and financial roles in the retail and wholesale sectors.